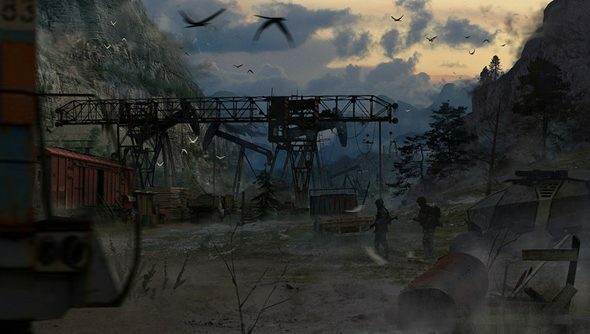 Two weeks ago, a Kickstarter campaign emerged for a “definitive” spiritual successor to STALKER – and was immediately blighted by claims that its developers weren’t who they said they were. But West Games are now more than halfway to their $50,000 goal, and have just announced the involvement of one Alexey Sytyanov – a bona fide STALKER veteran with previous ties to GSC Game World successors Vostok Games. Sytyanov has joined West Games as producer for Areal, the post-apocalyptic shooter. His previous credits include lead game designer and screenwriter for STALKER, and later a similar role for Vostok Games’ Survarium – the game most GSC refugees fled to when the studio was unceremoniously shut down two and a half years ago. “These guys are experienced, and I like what they are doing”, said Sytyanov of West Games. “Nobody right now is developing a game that is as close to the concept of STALKER as Areal. Sytyanov said he was invited to join the project after offering the team at West Games a couple of his ideas for the post-STALKER genre. Sytyanov left Vostok and Survarium behind late last year, over disagreements about the direction of the game – but retained a role as writing consultant. Two weeks ago, however, Vostok Games PR manager Joe Mullin told PC Gamer that “the public should think twice before donating any money” to Areal’s Kickstarter project. Crikey, what a mess. Have any of you lot pledged cash to West Games’ would-be STALKER successor?